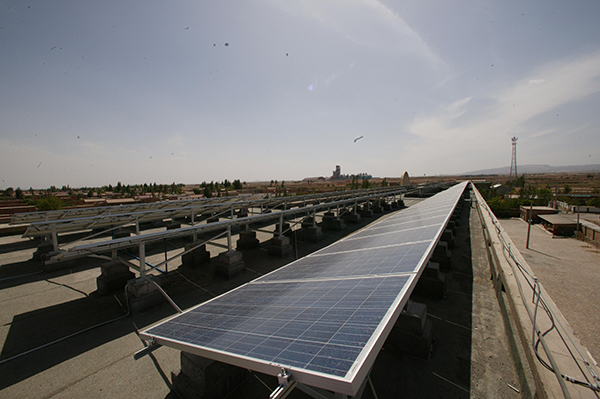 In March 2014, after several research and negotiation, in order to solve the power shortage and winter heating issue in Min-Ning Zhen Tiexi Hui Primary School, with the leading of Ningxia Hui Autonomous Region, Zhenfa New Energy has reached an agreement with Yongning Sports Bureau that they want to solve this issue through the construction of distributed PV power plant. 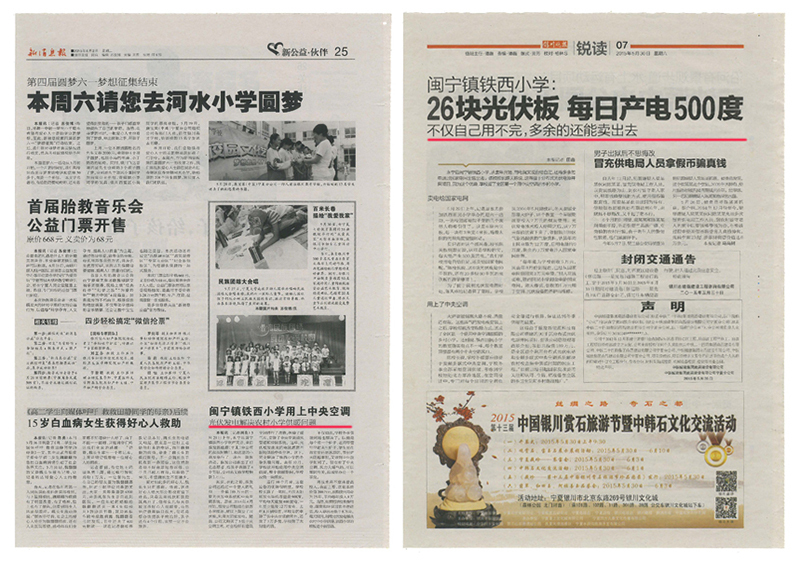 The total investment amount is 1,890,000.00 RMB, which is full donated by Zhenfa New Energy S&T Co., Ltd. While the distributed PV power plant can solve the winter heating issue by power supply for central air-conditioning, the extra power can be sold to the grid to create economic benefit for school. It is a classic project of comprehensive benefits to save traditional energy and protect green environment. The total capacity is 90KW, including 30KW adaptive tracking system(installed around the playground) and 60KW solar rooftop system. The power plant accesses to 380V busbar of user’s switching room through three pieces 30KW inverter. The power plant comes into commissioning at 21st August 2014. Until 1st June 2015, the power plant has operated for 280days safely and generated totally 75989 degree electric power, 275 degree for each day. Among them 58427 degree is on-grid energy and the revenue from electric is 47,000 RMB. The annual power generation is 126,000 degrees, this equals 90 tons standard coal and reduce the carbon dioxide emissions 105 tons. This project not only creates enormous economic and environment benefit but also develops a new though and new method to solve the winter heating issue of our western rural school. 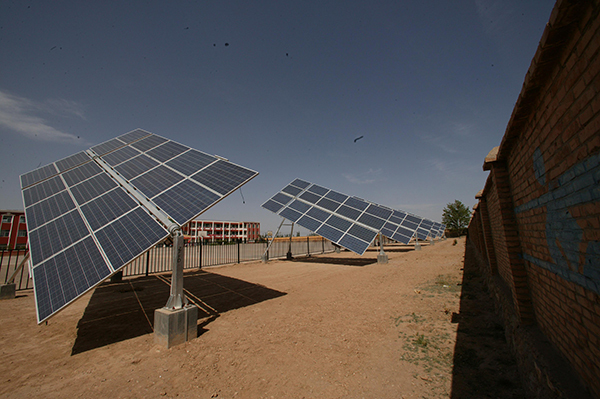 This mode is a typical model for PV poverty alleviation. 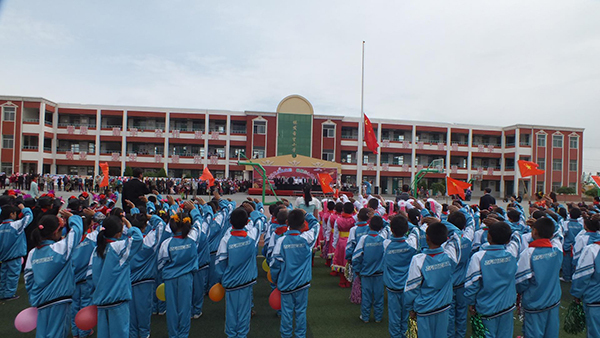 The Tiexi Hui Primary School is renamed “Zhenfa Hope Primary School” after the approval by Education Bureau of Yongning County. The president of Zhenfa New Energy Group, Zha Zhengfa is appointed as the Chancellor of Zhenfa Hope Primary School. Zhenfa New Energy fulfills the commitment “Act as an enterprise full of conscience” actively all the time. 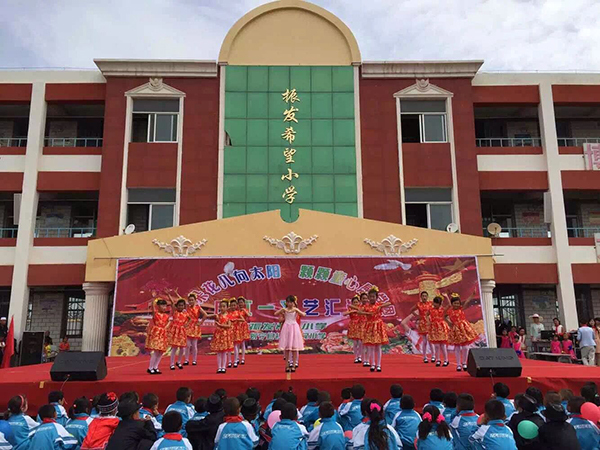 In 29th May, 2015, before “Art Performance for International Children's Day”, the general manager of Zhenfa New Energy(Ningxia) S&T Co., Ltd., Chen Xizhen, on behalf of Mr. Zha Zhengfa, attended the donation ceremony and celebrate the Art Performance with the teachers and students of Zhenfa Hope School together. Zhenfa New Energy is an enterprise full of corporate social responsibility and treat “Focus on social career, Pay attention to social responsibility, To be the excellent” as the important part of enterprise culture. We stick to this principle all the time and take an active part in social activities while creating the enterprise value. Refeed back to the society from what we get from the society.